We received a call from Google Maps this morning. It was a person trying to verify our location and asking a bunch of questions about our business. He was verifying all the “regular” stuff like hours, phone number, and address. Then he started asking about our actual location trying to figure out where it was. He wanted me to tell him the nearby roads and businesses. How odd. I put my mark exactly where our office is. He was having a really hard time with our location because our office address isn’t listed on our website. The reason for this: I don’t want mail delivered here! We have a tiny slot in the window through which our mail lady pushes our mail when we aren’t open. I do not want magazines, large envelopes, etc. pushed through the small slot, nor do I want packages left outside my door over the weekend. (Our office is a walk-up, so anything left sits outside all weekend – it’s happened before.) If you list an address on a website, you WILL get your address scraped and start to receive mail. My clients will forget the address and look it up on the website, or their accountants will. Before you know it, mail will be shoved through the small slot, or left out in the rain. That’s just how it goes. 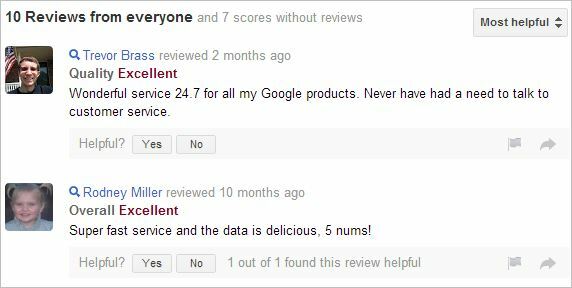 It seems our friend from Google couldn’t quite grasp that concept. I doubt that I will get a Google Maps listing for my office because he couldn’t understand why I haven’t placed my office address on my website. I thought maybe I’d check to see how closely Google follows their own rules. I went to maps.google.com and put in “google”. A Google Data Center in Council Bluffs, Iowa was my closest result. (I’m surprised it wasn’t the KC Google Fiber location, but that’s a different story.) 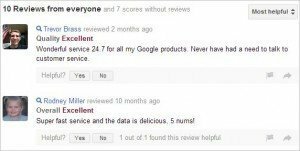 The Google Maps listing for their Council Bluffs Data Center currently has 17 customer reviews saying how helpful the staff is. They must get walk-in traffic at that location. Since they accept customers at that location, and they have a Google Maps listing, they must list their address on the website. Nope. I checked the location’s URL as well as the generic site. Not a single mention of “Veterans” which is the road on which the Data Center is located. Google doesn’t list this location’s address on the actual location website, but they have a Google Maps listing AND accept customers at this location. Google doesn’t list this location’s address on their main data centers website either. They obviously get customers at this location. I wonder how they have a Google Maps listing without their address listed on the site? ?